By its specialized area, DPC provides the analysis and the maintenance of the electronic registration of foreign direct investment (RDE-IED), along with the recording of financial transactions (RDE-ROF) before SISBACEN. In addition, DPC also prepares and transmits the statements required by the Central Bank, such as Statement of Brazilian Foreign Capital - CBE (quarterly and yearly), Statement of Foreign Capital Census in Brazil (yearly and five-yearly), Economic Financial Statement - DEF (Quarterly). All foreign investments in the country must be registered at SISBACEN (Central Bank Information System - BACEN) including the repatriation of capital invested in foreign currency in Brazil. Financial operations of the Brazilian company, such as loans, import financing, among others for foreign exchange closing. 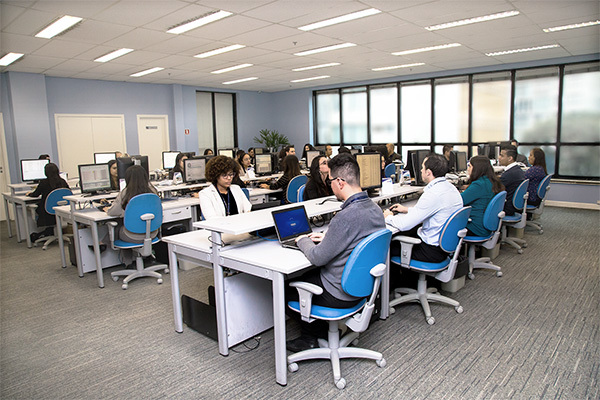 Brazilian companies that receive foreign direct investments from non-residents should perform a quarterly Economic Financial Statement, according to its assets or equity volume. Brazilian Capitals at Overseas Statement may be quarterly or yearly, depending on company or individual’s volume of overseas assets. Legal entities based in Brazil are subject to Census of Foreign Capital, with direct participation of non - residents in their capital stock; investment funds with non-resident quota-holders; and legal entities headquartered in country with a total outstanding balance of short-term commercial credits (payable up to 360 days) granted by non-residents. Census of Foreign Capitals Filling is mandatory and due on a yearly or five-yearly basis, depending on the company’s volume of equity/ investment fund or credit outstanding amount balance in specific base year date. The agility your company needs. Specialists to clarify all your doubts providing full assistance. Full compliance with BACEN standards. Maintenance and Registration of Electronic Foreign Direct Investment Statement (“RDE-IED”). Analysis and Registration of Financial Operations (“RDE-ROF”). Fill in and filling of Statement of Brazilian Capital Overseas - “CBE” (Quarterly and Yearly). Fill in and filling of Census of Foreign Capitals in Brazil (Yearly and Five-Yearly). Economic and Financial Statement (Quarterly).